In this map, residents can see the routine trap locations in with more details such as the last fogging date, when the trap was set, which control district it is in, and a description. In this map, residents can determine which district services their location and how to contact them. 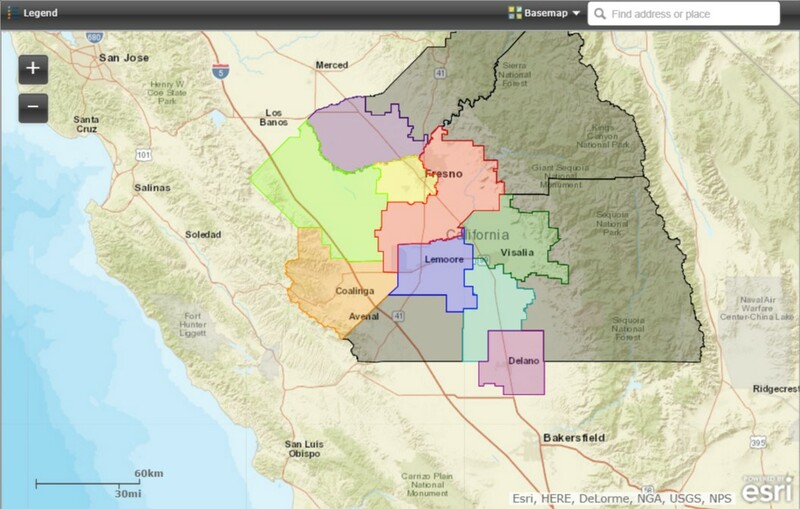 When you click on the map, a pop-up window indicates which district services that particular area. Residents can also type in their address in the search bar in the upper right hand corner of the map to navigate to their residence. Columbus Public Health begins trapping mosquitoes in June each year to test them for West Nile virus. Below is a map showing the density of mosquitoes trapped by Columbus Public Health in Columbus and Worthington. Each area on the map displays a mosquito trapping district. Traps are set in each district once every two weeks. By clicking on a district you will be able to see the date a mosquito trap was set and how many mosquitoes were caught there overnight. 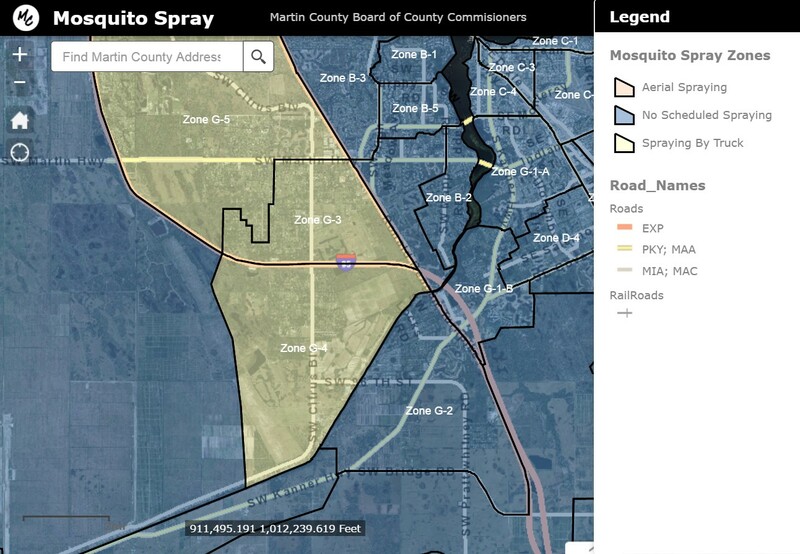 This interactive web map application indicates the mosquito spray zones that will be sprayed everyday. It is updated daily at 4 p.m. It allows the public to view the currently active spray zones and to determine the spray zone of a particular address. Residents can enter an address into the search box and then click in the general area and a pop up box with the spray zone information will appear. The Mosquito Control Commission of the City of Chesapeake is committed to protecting the health, safety, and comfort of the citizens in the most environmentally safe and economically efficient manner possible. One way the city does that is with their public facing map showing adulticide zones to be sprayed. Residents can view which spray zones are being sprayed. 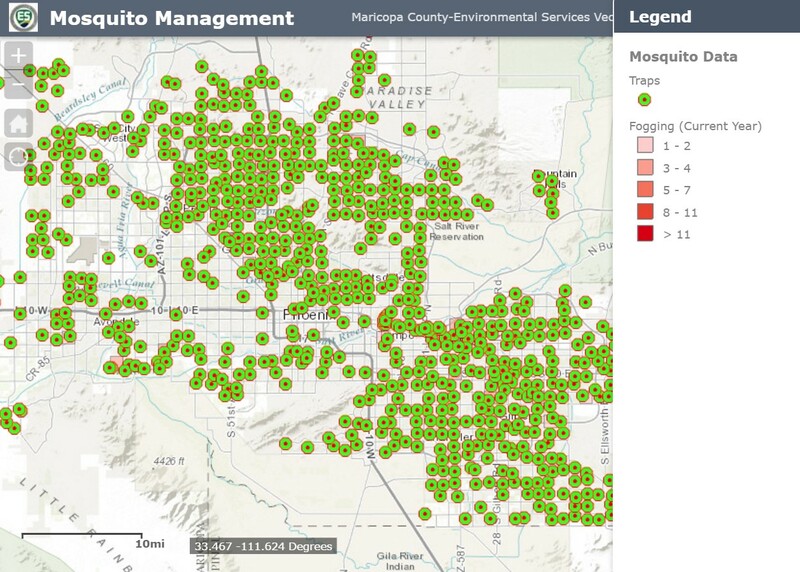 The City updates the map daily after 3 p.m.
Public facing maps are one component of a smart vector control strategy. 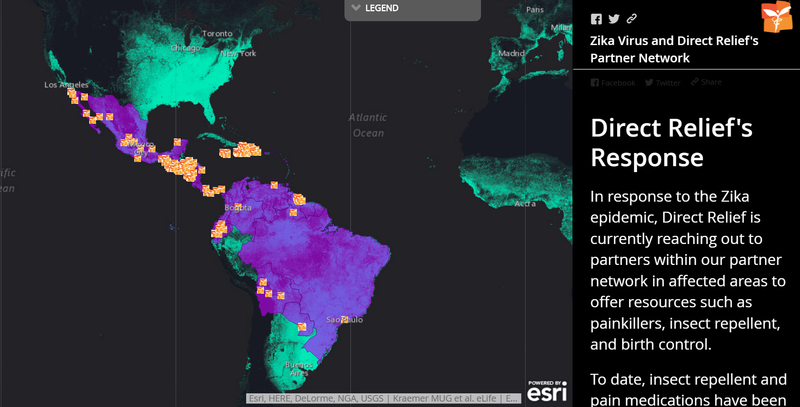 You can learn how to take a smart approach to vector control in an upcoming webinar, Transform Your Vector Control Strategy with GIS. Register today, go.esri.com/vector_control.